The intrinsic abilities of a customer service representatives and what their work environment looks like. How talented do I have to be to become a customer service representative? 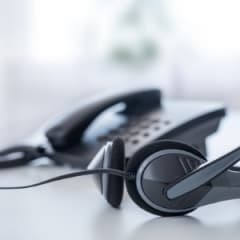 A career as a customer service representative typically depends predominantly on qualities you can gain through experience, with a small aspect of skills you are born with. Is it easy to get a job as a customer service representative? It’s typically not very difficult to find a job as a customer service representative. If you’re curious about the numbers, check out the job market for customer service representatives. What level of cognitive ability do customer service representatives use? Working as a customer service representative typically doesn’t require the use of high levels of cognition in daily tasks. Do customer service representatives work full-time or part-time? 73% of customer service representatives work in full-time roles while 27% work part-time.